Adam Bobak - I am a junior attending Sussex Central High School and I hope to serve as your State Officer in the 2018-2019 academic year. 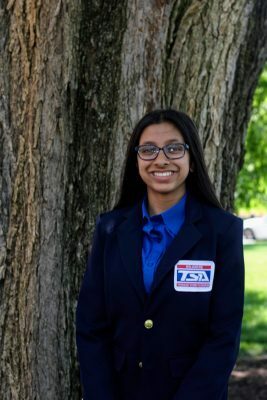 I have been involved with the TSA since my 9th grade year, becoming Chapter Treasurer and Chapter Vice President in my tenth and eleventh grade years respectively. I am in the IB Diploma Programme and am an avid member of Math League, National Honor Society, Student Council, and my school's robotics club in addition to the TSA. As a fellow member of the TSA, I understand the chaotic circumstances that burden our local chapters. For this reason, I plan to use my position in the State Office to repair communications between local and state chapters. 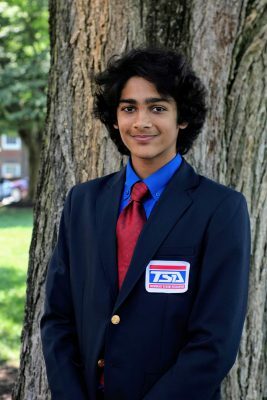 Apu Mutyala - Hello Delaware TSA, my name is Apu Mutyala, your current State Vice President, and I am excited to be seeking reelection to the 2018-2019 State Officer Team! I am currently a sophomore at MOT Charter High School, and this is my fourth year in TSA. Some of my favorite events include Digital Video Production, Structural Engineering, and On Demand Video. Outside of TSA, I also participate in VEX Robotics, Math League, Science Olympiad, Science National Honors Society, and much more. With my four years of officer experience (Chapter Secretary, President, Parliamentarian, and State Vice-President) I want to continue to serve and improve Delaware TSA in this upcoming year. I cannot wait to meet each of you at the state conference! Divita Taduvayi - Hello Delaware TSA! My name is Divita Taduvayi and I am excited to be running for state office for the 2018-2019 school year! I am currently a freshman at MOT Charter High School, and this is my fourth year in TSA. Some of my favorite events include Technology Problem Solving, Debating Technological Issues, Essays on Technology, and Prepared Presentation. Outside of TSA, I participate in Math League, Science Olympiad, swimming, and dance. In my free time, I enjoy reading and art. Thank you. I look forward to seeing what we can accomplish next year! Evan Cheng - Hi, I am Evan Cheng and I am running to be your next Treasurer of Delaware TSA! 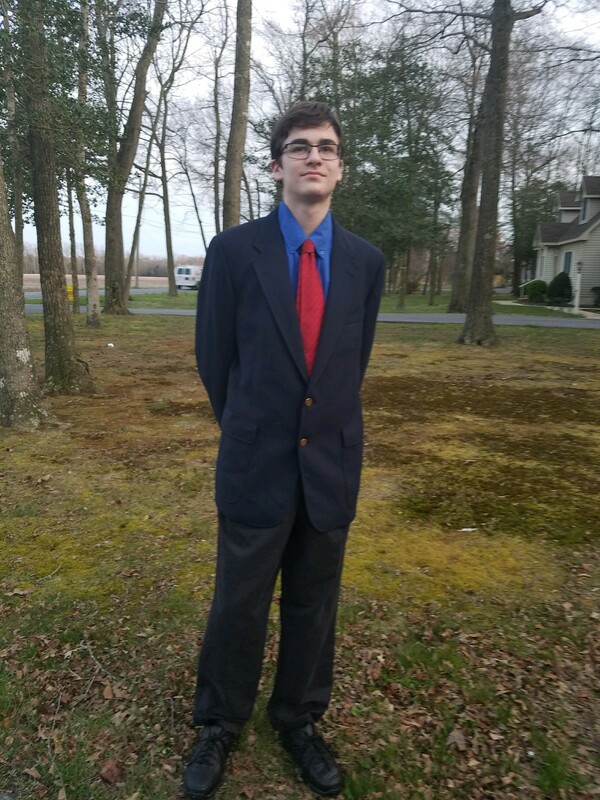 I am a sophomore at Caesar Rodney High School and currently president of CR’s TSA chapter. I have been in TSA for the past 3 years and although it is my favorite activity, I also enjoy BPA, Math League, and swimming. TSA has given me numerous opportunities and I have made many friends through this amazing organization. As a state officer, I hope to spread that same sense of opportunity and friendship to our members. Noor Boukari - Hello, Delaware TSA! My name is Noor Boukari and I am very excited to run for a Delaware TSA state officer position. 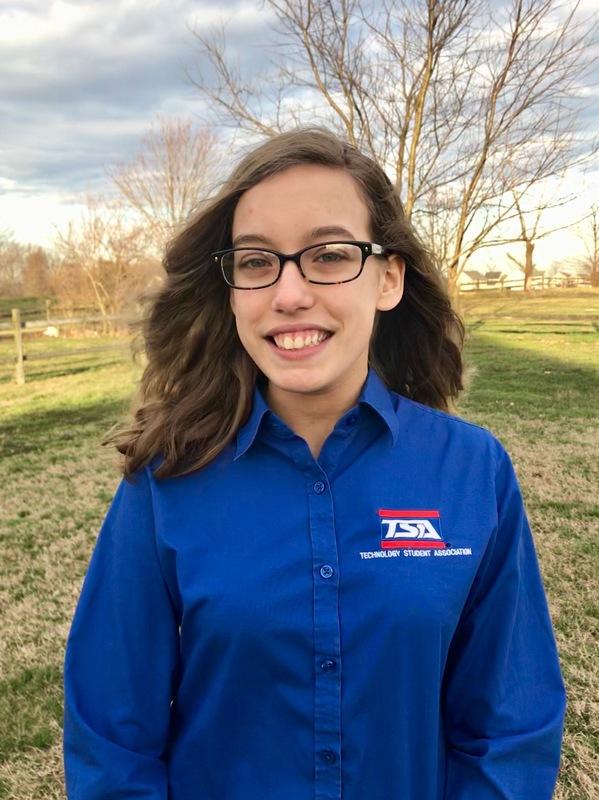 I am currently an eighth grader at Postlethwait Middle School, and I have been an active member of TSA since the seventh grade, becoming the treasurer of my chapter this year—some of my favorite TSA events include Website Design and System Controls Technology. I am also a part of BPA, Science Olympiad, Math League, National Junior Honor Society, and band; and I enjoy both swimming and Tae Kwon Do. If I am elected as a Delaware TSA State Officer, I will do my best to create an inclusive environment where all TSA members can thrive and succeed. 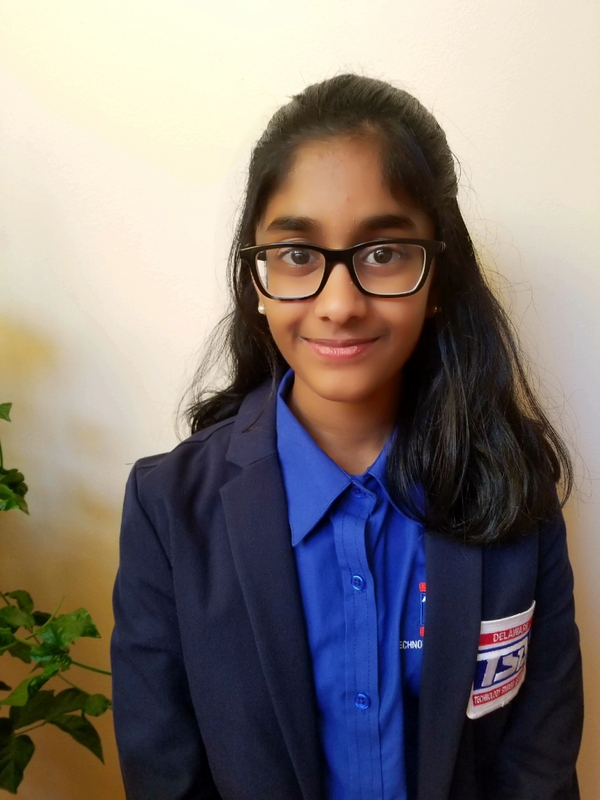 Priya Gupta - Hello Delaware TSA, my name is Priya Gupta. I served as your 2017-2018 Delaware TSA State Reporter and I am looking forward to running for State Office again this upcoming year! Some of my favorite events include Webmaster, Chapter Team, and Prepared Presentation. Other than TSA, I am in Math League, Marching Band, and dance. In my free time, I enjoy playing the clarinet and playing video games. My favorite thing about TSA is the leadership skills, technical skills, and friendships you have the opportunity to build. I have developed years of leadership experience as I have been Chapter fill-in Reporter, Chapter President, and State Reporter. No matter what, it will always be my goal to strengthen and expand Delaware TSA in any way I can. I am excited to potentially be your 2018-2019 State Officer! 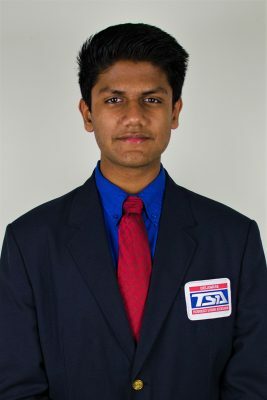 Rishi Gundakaram – I am a junior at Caesar Rodney, and I have been a member of TSA for the past four years and I served as a State Officer last year! I enjoy participating in clubs like Earth Club, Chess Club, and tennis. Technology and the Sciences have always been a passion of mine, from watching MythBusters and How It’s Made when I was a kid, to taking physics and technology classes in high school and participating in events like Problem-Solving and Structural Design with TSA. TSA has exposed me to lifelong friends and has taught me a lot, so I am excited to give back to TSA and to lead TSA as many of my friends have! I will be excited to serve you as a State Officer again in 2018-19! 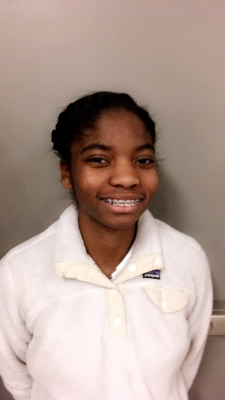 Sariah Steele - I’m Sariah Steele a junior at Delmar High School and Secretary of the Delmar High School TSA chapter. 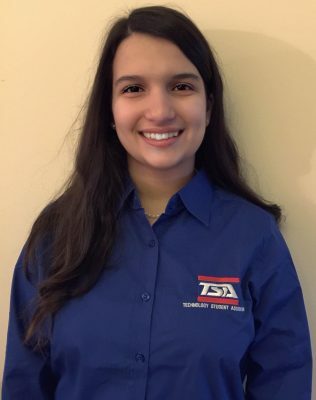 I am choosing to run for an officer position at the state level because I have enjoyed being in my secretary position at the chapter level very much and would like to take on more responsibility and be involved in doing more for the state TSA community. I enjoy being involved in many other things such as Science Olympiad, cross country, soccer, and multiple clubs. I hope to be a reliable and effective asset to the Delaware TSA officer chapter if given the opportunity. Skyler Brand - Hello Delaware TSA. My name is Skyler Brand and I am currently a junior from Lake Forest High School and my favorite events are Structural Design and Technology Problem Solving. Outside of TSA, I participate in robotics, FFA, and student council. I served as a State officer this past year and I will be excited to serve you again as a State Officer again in 2018-19! Sophia Weldin - Hello Delaware TSA, my name is Sophia Weldin and I am thrilled to be running for TSA State Office! I am a sophomore at Caesar Rodney High School and I currently serve as the Vice President of my chapter! 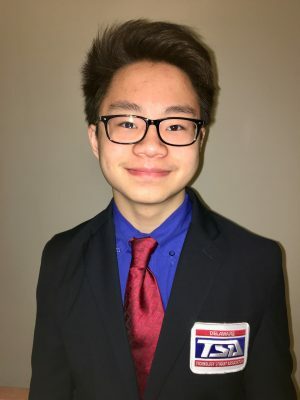 This is my fourth year in TSA, but I also participate in Math League, Computer Science Club, and I am on officer of my class. 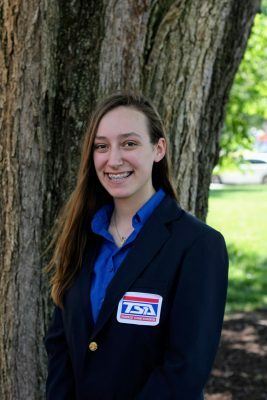 If I am elected into state office, I will not only strive to increase the TSA community, but I will use my leadership skills, time management skills, and my determination to improve TSA overall as a CTSO! Ever since I was a chapter officer for the first time two years ago, it has been my goal to reach out to more people and help them in as many ways as I can! I look forward to meeting you all and fulfilling the duty as a Delaware TSA State Officer!